German-flagged Tilly XV crossed the line with an advantage of several minutes, to take her second Centenary Trophy win in a row at the Gstaad Yacht Club event. Silver went to a newcomer to the event, the gaff cutter Kismet, celebrating her 120th anniversary in style, whilst 7 Metre I.R. Mignon from 1912 got to the third step of the podium. Racing started in moderate winds, that progressively increased to exceed 25 knots at the mark positioned outside the bay, creating a considerable sea-state. Showing incredible speed for her small size and a very strong performance from her skilled crew, with skipper Juerg Moessnang and owner Siegfried Rittler. 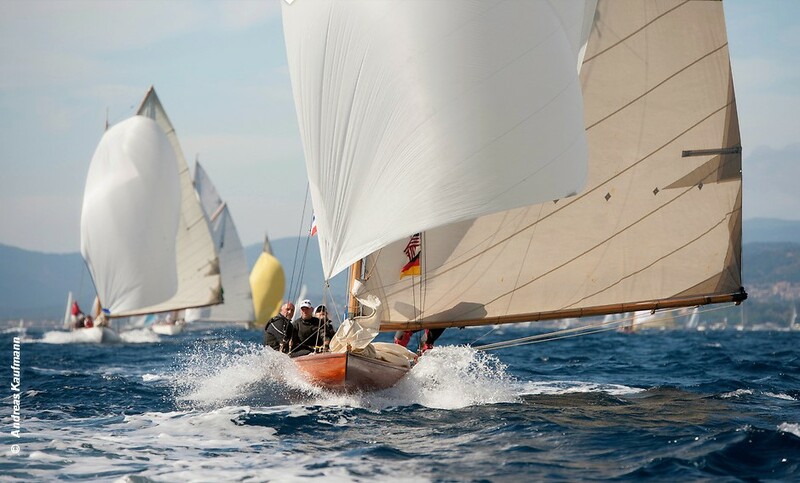 On the reaching leg Tilly XV earned an unbeatable margin, keeping it until the finishing line, positioned just off the old Saint Tropez harbour. Tilly XV was built in 1912 in Germany for Prince Heinrich Von Preussen, the brother of Kaiser Wilhelm II, and is the fifteenth of a series of boats that all carry the same name. She is a Sonderklass racer, with a particularly contemporary design, that won the Kiel Week in the very same year she was launched. Past winners of the Centenary Trophy 2011: Bonafide (1899) 2012: Marigold (1892) 2013: due to adverse weather conditions the title was not awarded 2014: Olympian (1913) 2015: Oriole (1905) 2016: Spartan (1913) and 2017: Tilly XV (1912).